It can be difficult to create unique Easter packaging designs that can stand up to a sea of pastel treats. With so much competition around the holiday, it takes a lot to grab a consumer’s attention. Fortunately, each of the designs highlighted below has found a way to create unique, out-of-the-box packaging designs that stand apart from the traditional Easter packaging. Most importantly, they illustrate that Easter designs can mean more than the traditional eggs, bunnies, and carrots. 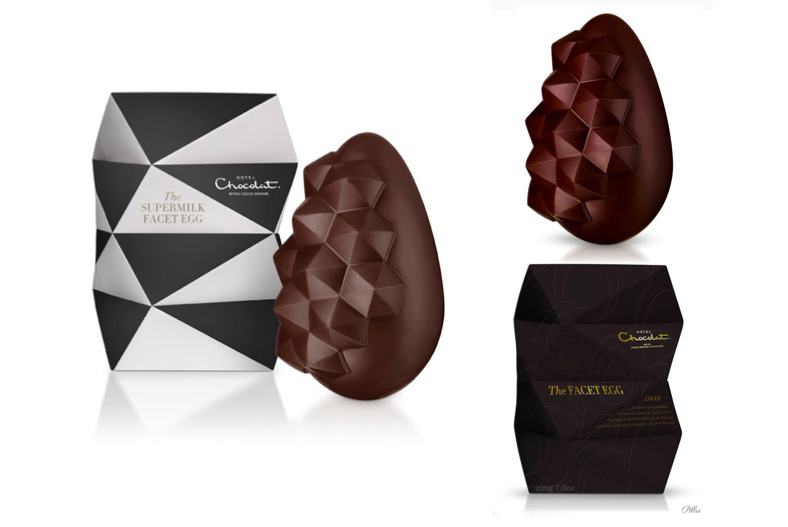 The Supermilk Facet Easter Egg by Hotel Chocolat needed to have a truly unique design to stand up to their new chocolate line. 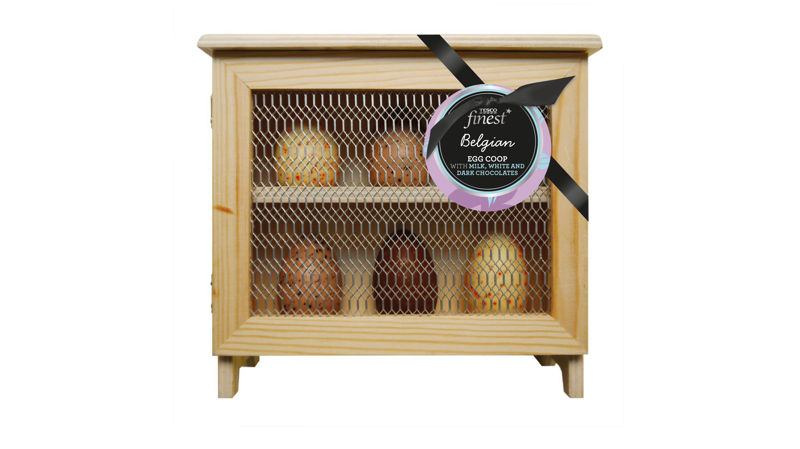 This Easter egg contains more cocoa and less sugar for a healthier, more guilt-free option. In order to attract consumers to this new gem of an egg, the design needed to take an unexpected angle on the classic Easter egg. It accomplished this by casting the egg itself with a jeweled facet design to represent a “chocolate diamond emerging from a smooth chocolate eggshell”. The outer packaging also illustrates this jeweled facet design. 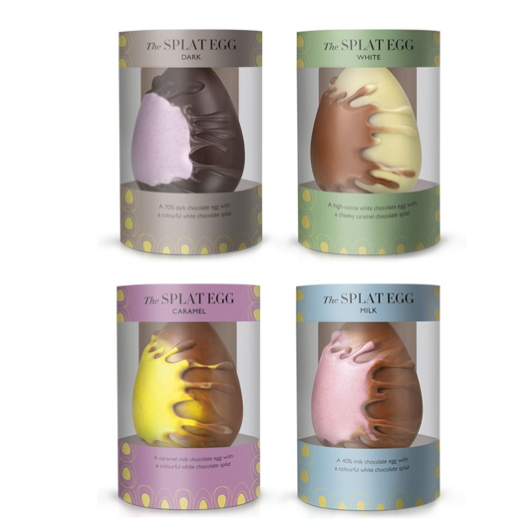 The Splat Easter Egg is another masterfully crafted Easter egg design from Hotel Chocolat. It features eye-catching pastel packaging with a colorful chocolate splat to emphasize that this is a grown-up kids’ treat. 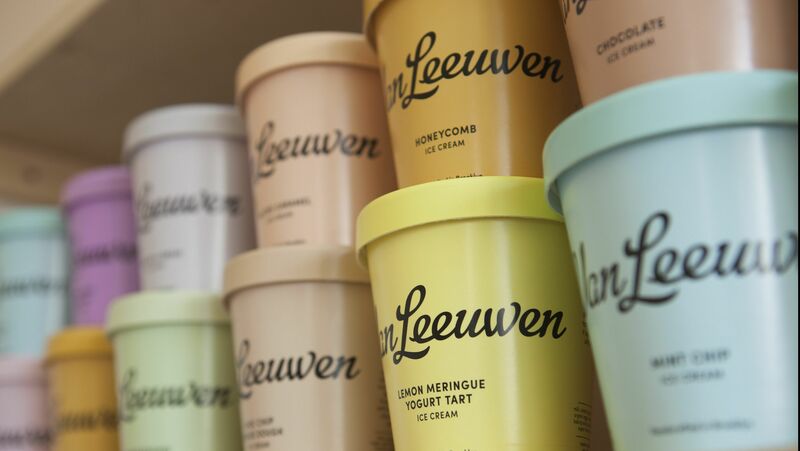 After redesigning its packaging to traditional Easter colors, the high-end Brooklyn ice cream brand, Van Leeuwen, enjoyed a 50% increase in sales. For the redesign, they focused on making something that “looks good on social media”. 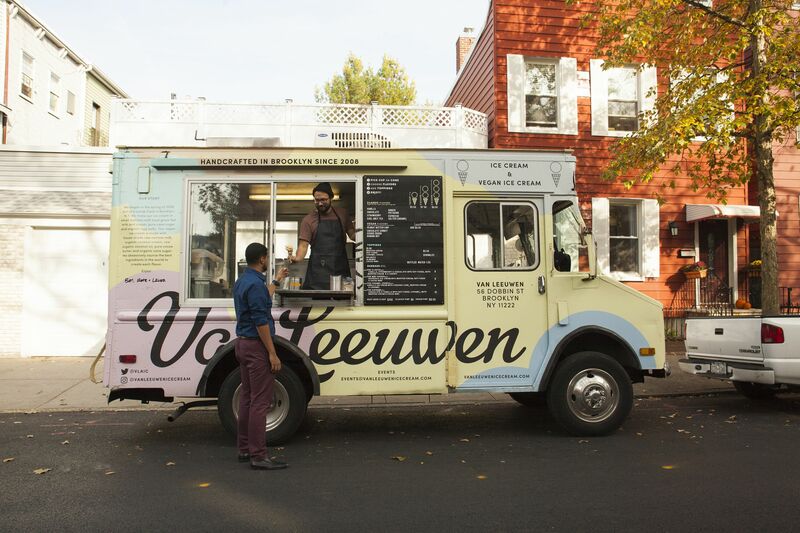 The company worked with design firm Pentagram to design the ice cream trucks and pints to look “very Instagrammable”. 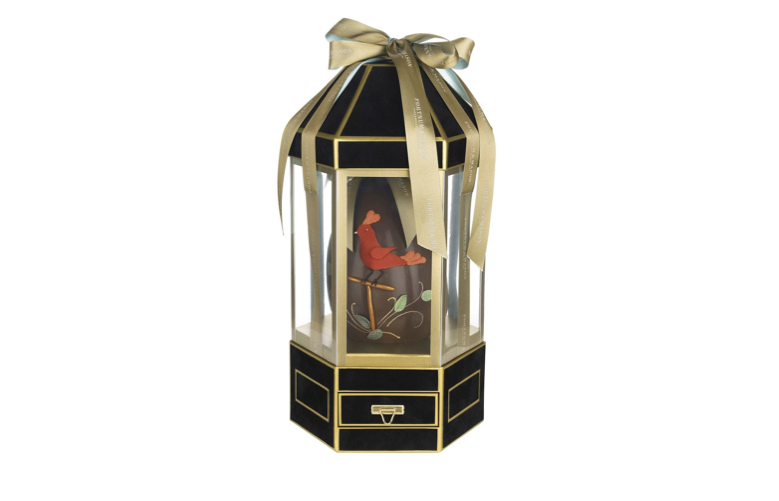 Designer Lulu Guinness specially crafted only 100 of these limited-edition birdcage eggs for Fortnum & Mason. The packaging is meant to mix old-school glamour with modern design in order to reflect the designer’s love of all things English. Each label was signed by the designer and the box was decorated by hand for that special touch, making it an extra special gift. Tesco Finest worked with branding and packaging design specialist, Parker Williams, to create unique designs that combine modern style and vintage designs. The custom-made egg coop is successful at “catching the consumer eye whilst placing an emphasis on the eggs”. The design comes complete with a netted metal front and wooden box. 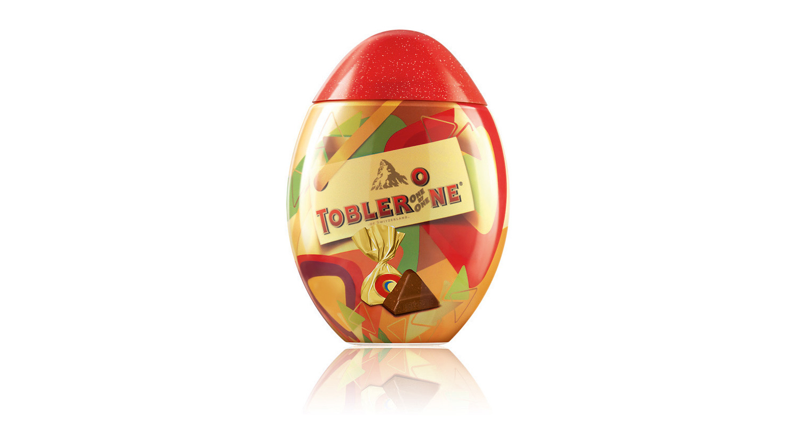 Toblerone focused on creating Easter packaging that would appeal to adults just as much as it would to kids. This successful packaging concept was designed to create high visibility on a crowded shelf. The colorful pattern was inspired by the brand’s elements, as well as the chocolate treats hidden inside. Toblerone also worked with Bultmann Design Works to create the seasonal packaging displaying an open-the-flap element and rabbit characters to entice younger consumers. It also fits well in any Easter basket.